The Website www.tslprb.in 2019 published admit card for physical efficiency test and physical measurement test of Sub Inspector Post Today. So Here we have given you a direct link to download that admit card from telangana state level police recruitment board website. As per some trusted source and official government persons, the tslprb admit card is going to published today at 8.00 AM. Step 2: Click on ‘TSLPRB SI PET PMT exam admit card. Step 4: Your admit card will be shown on the screen. To take part in the PET and PMT you need to carry the admit card with you. 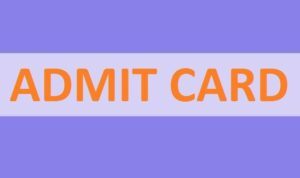 You need to show the admit card there and verify yourself. PMT and PET will be conducted at three locations in Hyderabad & at one location in Warangal, Karimnagar, Khammam, Mahbubnagar, Nalgonda, Sangareddy, Adilabad, Nizamabad.